What Are Your KPIs Telling You? Modern marketers go beyond the click-through and open rates. Although good to track, they just scratch the surface of how you are performing. When asked the question “how did that campaign do?” what do you measure in order to answer? For a marketing manager, it’s critical to present meaningful data and make sure the team’s Key Performance Indicators (KPIs) are focused on what is impactful to success. It’s also important to understand the implications of those KPIs – for better or worse – in order to use the data to make actionable decisions. Take Rejected MQL Rate for example: if 85% of your MQLs are being returned to Marketing, do you know what’s wrong? What kind of content needs to be improved? When you focus on the KPIs that really matter, they can tell you about how your marketing campaigns are performing –and point to what to consider. The MQL conversion rate indicates the overall quality of leads being handed off to sales. If the conversion rate is low, it indicates that leads are of poor quality or Sales, potentially, is not responding to the leads quickly enough – when they are “hot”. This is an important metric because the MQL stage is where marketing hands off a lead to sales. This KPI provides the first glimpse into marketing’s ability to generate those sales leads and how well marketing and sales are working together. The measurement itself is a great way to encourage movement through the pipeline. 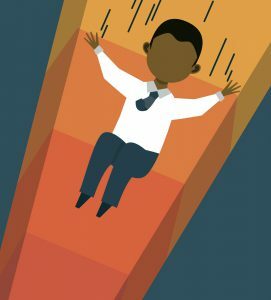 Rejected leads are not only the important learning metric here; tracking them also creates another way to bridge that divide between marketing and sales. If the rate of rejected leads is high, marketing should look for trends and then meet with Sales to discuss why. Solving the ‘why’ is not something that your teams are going to get on the first try. It’s important to keep communication open between the Marketing and Sales teams to ensure that these sorts of weak points in the overall process continue to improve over time. If Marketing and Sales are effectively communicating this conversion rate should increase over time. This KPI measures the next critical point in the pipeline. Sales has created an opportunity and this lead is starting to show some real promise. These leads have become the cream of the crop, and what happens to these is what Marketing should really be learning from. Did any of these Leads attend this year’s costly event? What is the least productive Lead Source? How much did you spend with that Content Syndication vendor? This is a great KPI to get a picture of how quickly leads are moving from one stage to the next. There are many insights to gain depending on how you look at the velocity. Tying velocity to campaigns can help determine which campaigns are converting leads the quickest and are the most likely to contribute to a steady revenue stream. Measuring velocity makes it easier to draw conclusions when that velocity is tied to a lead stage, such as how quickly MQLs are being accepted or rejected. This can be very telling when trying to measure lead quality. Nurture campaigns are set up to move leads through the buyer journey, so it’s nice to see how leads are progressing through them. Since nurtures are highly content and message driven, and also focused on the stages of the buyer journey, it’s important to make sure that the content you deliver resonates with those stages, or that the message focuses on the right audience. The Journey Nurture Progression is a great metric for gauging the overall quality of content, messaging and also how well you’ve segmented your database. If you find a stage in your nurture where leads are not moving from one stage into the next, it might be a good indication that it is either the wrong time to put that particular message in front of prospects, or maybe it is just the right message – but going to the wrong audience. Use this metric as a great way to learn and proactively course correct. First touch? Last touch? Multi-touch? There is no wrong model. 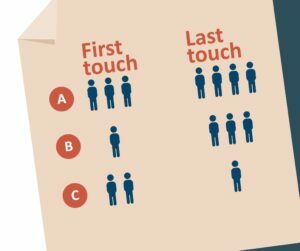 Whichever one you use, you’ll want to track campaign association to learn which campaigns get the most touches, which ones fall flat, and which ones turn into leads and opportunities. Tracking campaign attribution is not only useful on its own, it is a crucial building block for other KPIs. In fact, you won’t be able to derive any of the other recommended KPIs without it. Campaign Attribution helps you identify trends in the content being consumed in addition to quantifying how many touches it takes for a lead to become and opportunity – or better yet, a closed-won opportunity. 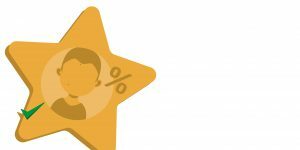 Eloqua users can even track campaign engagement from unknown web visitors when they use the 4Thought Marketing Anonymous Campaign Attribution App. This app provides visibility into what visitors are interested in and then associates those anonymous visits with the right named lead once that visitor supplies identifying information. This KPI is the mother of them all. Closed-won opportunity attribution ties a specific lead source (channel) or campaign to a closed-won opportunity. This is where real revenue is attributed back to marketing. Measure this and you have what you need to prove Marketing’s value to the business. Closed-Won attribution takes campaign attribution and attaches it to an opportunity. If a marketing team can track closed-won opportunities to associated touch points, it will be easier to identify which campaigns are the most effective, and which ones need improvement. Equally important, Marketing can quantify what percent of the total Opportunity Dollar Amount closed and won was influenced by Marketing and what percent came from Marketing Generated leads. This is what puts a real value on marketing’s contribution to revenue and provides management and the C-suite the visibility into how big a piece of the pie marketing contributed to revenue. This is the KPI that justifies budgets and earns organizational respect. This KPI is CMO gold. Getting the benefit of what KPIs can tell you comes down to collecting the right data, applying logic to that data, and then putting it into an easily digestible format. Visit our KPIs page for more information on how 4Thought Marketing helps marketing teams build out their KPI and reporting strategy. We know the ‘how’ often includes the challenges of not being sure of how to extract the data from your systems, not necessarily knowing how to interpret what the data tells you or even how to collect KPIs when your team and resources are already working at capacity. 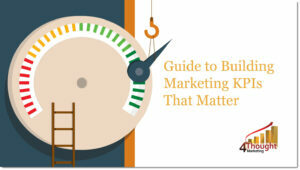 Our ‘Guide to Building Marketing KPIs That Matter’ will help you understand how to interpret what these KPIs tell you and point you to where to automate your data collection so you can implement these important KPIs with the resources you have.